The last release has delivered a few awesome updates that we would like to share with you. PPC Specialists – it’s time for a happy dance! Last month we’ve released one of the most sought after features – Google Adwords paid search results tracker. Now, you can track both organic and paid rankings of your keywords, and then compare the results. Google Adwords rankings can help you evaluate the local visibility of your project. 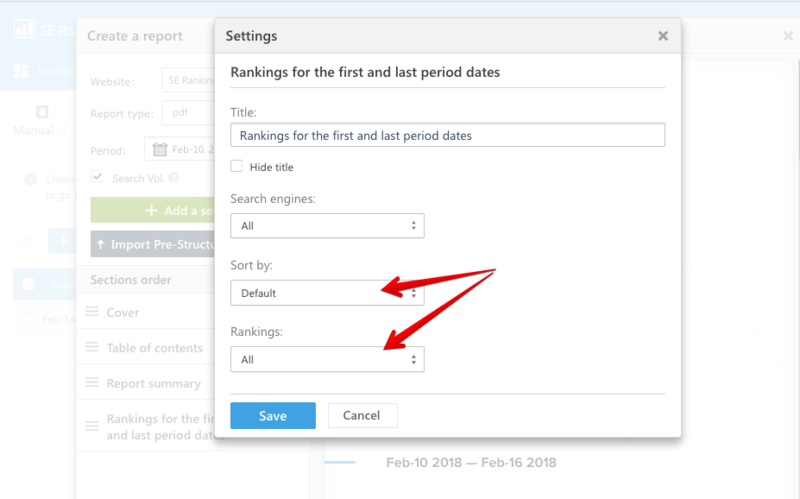 This feature will make you Yoda in the competitors analysis – check their keywords, positions in the paid SERP and how they run PPC campaigns. Then use this data in your own strategy. If your project is brand new. Add a new project, enter the website URL and the keywords. While adding the search engines, select Google, the city or zip-code where you’d like to track the results, and then mark the Track Google Adwords rankings checkbox. After that you will see both organic and paid results in the Rankings section. If you already have a project. Go to your project settings, choose the search engine settings and mark the Track Google Adwords rankings checkbox. To analyze your competitors go to the competitors section and track both – your own and your competitors’ rankings for the common keywords. * To check the Google Adwords rankings, you have to specify the city/zip-code. We’ve collected your suggestions and rolled a first batch of updates in our Website Audit – 17 new info blocks have been added and already available in all SE Ranking accounts. XML sitemap module: we’ve added a list of all links to the XML sitemap. Links Analysis section – added a new module – “URLs with the excessive number of redirects.” This element crawls and displays pages with more than 5 redirects. Also we’ve added new modules that will check the pages with no inbound internal links, the number of links in the XML sitemap and the number of external links with 5xx status. The hreflang attribute. This attribute is used to specify the language or regional URL in case the website has been translated into multiple languages. The search engine uses this attribute to serve the correct language or regional URL in the search results. The new website audit will show whether hreflang is used on your site, which pages contain the hreflang attribute and whether there are any errors in the attribute. Content Analysis section: now you can check the pages with a duplicate H1 tag, pages with an empty H2 tag and with no H2 tag whatsoever. We’ve also added Bing and Yahoo search engines in the indexed pages section. The enhanced website audit will help you find and eliminate more errors. To see all the new updates, run new website audit in your SE Ranking account. More updates to come – stay tuned! Many of you asked to add an option to sort keywords in the reports. You got it! Now you can sort them by any parameter: position, keyword, volume, KEI, competition, cost per click, results. You can also select keywords from a specific TOP: TOP 10, TOP 20, TOP 30, TOP 40, TOP 50, TOP 100. The recent Twitter update allows users to post updates up to 280-characters. This adjustment has been applied to the SE Ranking SMM tool. So continue using our auto-posting with confidence knowing that all Twitter requirements are followed and respected. From now on you can unsubscribe from system notifications related to new backlinks that we send to your email. You can do it in all the automatic reports you get. Wow, you guys rock. Really… every release brings so cool updates. Thanks! I am very glad to see you guys are actively adding features. One of the issues I had was how the data was presented. I have gone with SEMrush which is tremendous but also more expensive. Can you please tell. me of your next round of updates so I can do a comparison again. Good work though. Product is getting better. Paul, thanks! Every release (at least one per month) we plan to update the platform interface to add more comfort and efficiency to working with our tools. We hope, that you’ll be satisfied with the data presentation.